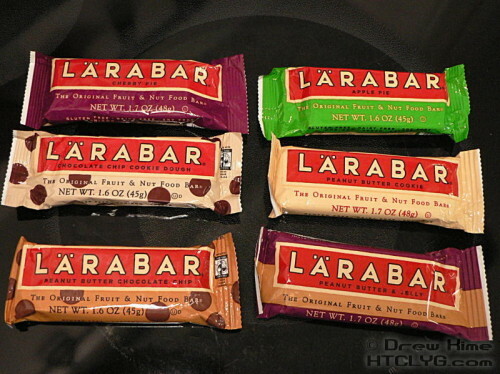 I’m not the kind of person who wants to grab an energy bar and a cup of coffee for breakfast every morning. First, I don’t like coffee. Second — and this is the one that matters for today — I don’t think an energy bar can take the place of a real breakfast, no matter what the advertising says. That doesn’t mean I don’t keep a few things in the pantry for those mornings when I hit the snooze button one time too many and need to get out the door in a hurry. But I can’t stand the fake-healthy bars that are nothing more than candy bars with some oats mixed in, and they call it a “granola bar”. When the first three ingredients are sugar, corn syrup, and high fructose corn syrup, that’s not an energy bar — that’s candy. The first thing you’ll notice at their site is the huge list of flavors: cherry pie, apple pie, chocolate chip cookie dough, peanut butter cookie, peanut butter chocolate chip, peanut butter and jelly, just to name the few they sent me. The first one I tried was the peanut butter cookie, made with dates, peanuts, salt and … no wait, that’s it: dates, peanuts and salt. Holy cow, I know what all those things are! When’s the last time you ate a packaged food that only had three ingredients, and you knew all of them? Hold on, though. It’s supposed to actually taste good, too, isn’t it? And this one says it’s a peanut butter cookie, but the first ingredient is dates? Yeah, that’s promising. Wait, let me check those ingredients again. This thing actually does taste like a peanut butter cookie. How did they do that? I’ve been getting the wife, kids, and in-laws to try these, and everyone confirms they taste like what they’re supposed to, even though most of them have dates as their first ingredient. Like the apple pie: dates, almonds, unsweetned apples, walnuts, raisins, cinnamon. 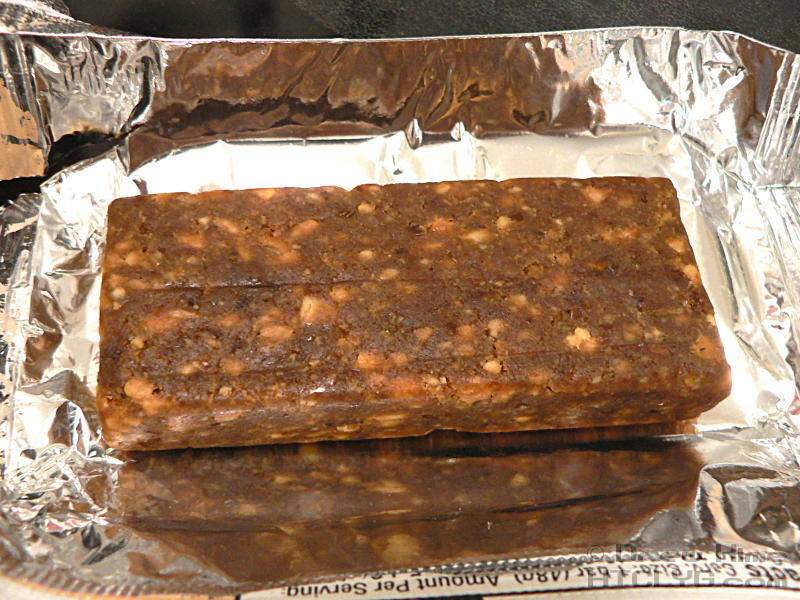 Some lead with nuts, though, like the chocolate chip cookie dough: cashews, dates, chocolate chips (unsweetened chocolate, sugar, cocoa butter, vanilla), salt. Again I’m wondering, how does something that’s mostly cashews taste like chocolate chip cookie dough? But it does. 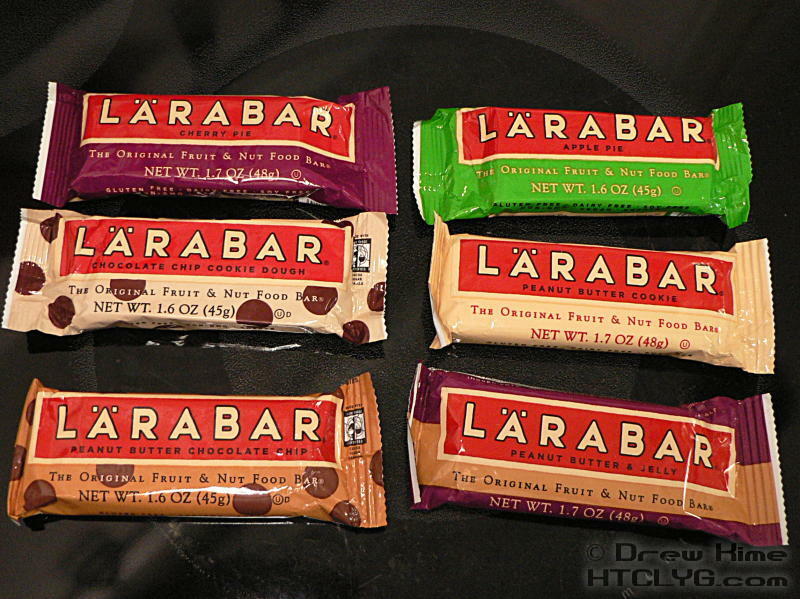 When you pick up a Lärabar you’ll notice it’s heavier than you’d expect for its size. They’re very dense. 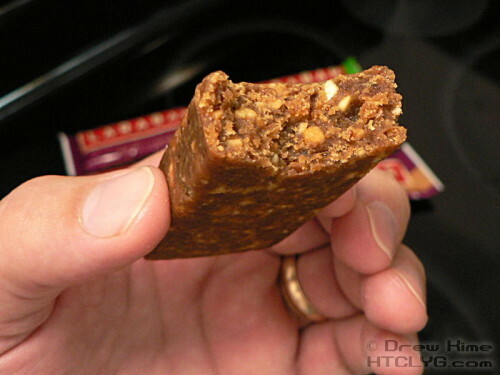 If you try to pound it down the way you would most granola bars you’ll get about halfway through and start looking for a glass of milk to wash it down. I’d like to see Adam Richman try to eat one of each flavor. I mean, if eating competitions weren’t gluttonous and wasteful, and something that no decent person would be interested in. But if I were the kind of person who liked eating competitions, this would be a good one. I still won’t be using these in place of a real breakfast on a regular basis. But they’ve definitely earned a place in my cupboard for when I’m running late and need to grab it and go. If you’re interested, you can order them on Amazon .